After being admitted as a solicitor in 1999, Timothy practiced in general company and commercial matters, principally acting in the sale and purchase of companies and businesses, and in banking and finance matters. 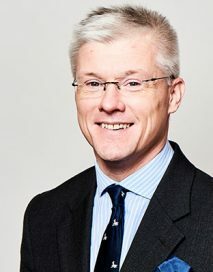 Since transferring to the Bar in 2007, Timothy has developed a broad Chancery practice and will happily represent clients in Court, provide written advices and opinions, advise in conference or on site, where the location of the dispute is of relevance, as well as drafting pleadings and other documents required during the course of litigation, to ensure that clients obtain the best result possible. Over the course of his career at the Bar Timothy has built a reputation for his objective approach to the commercial and practical realities of litigation and is unafraid of providing ‘robust’ advice when required. He is highly regarded by the Judiciary on circuit as an extremely capable and well-prepared advocate who assists the Court in getting quickly to the heart of disputes. The rectification of registers, leases and transfers. Leasehold enfranchisement and the grant of new leases. Being a Churchwarden of the Cathedral Church of Saint Nicholas in Newcastle upon Tyne, Timothy is continuing to build on his experience of ecclesiastical matters and his knowledge of ecclesiastical law. He successfully represented the Vicar and Churchwardens in Hooper v Alnwick District Council and Holy Trinity Church Embleton (unreported, 24 May 2011) in a claim for personal injuries where the Claimant sustained injuries after tripping over a cast iron gate stop which was alleged to be a hazard, but which was found to be an obvious part of the churchyard furniture which did not need to be illuminated or painted to make it more visible. He is also currently representing a local Parochial Church Council in a long-running claim to recover property let to a licensee who claims to have a protected tenancy. He has acted on a pro-bono basis for many years as the Legal Advisor to the governing body of the Church of England Guild of Vergers. University College of Wales, Aberystwyth. LL.B, 1996. Legal Advisor to the Church of England Guild of Vergers since 1999. Churchwarden of the Cathedral Church of St Nicholas, Newcastle upon Tyne, since 2009. Member of the Ecclesiastical Law Society.